So I recently bought into the Call of Duty: World War II beta. I haven’t played a CoD title that I enjoyed since Black Ops 2. Personally, I wasn’t really invested in all that future tech nonsense. If I want that, I’ll go play Destiny or Halo. However, with the notion that we were returning to World War II with better hardware, I bit the bullet, so to speak. 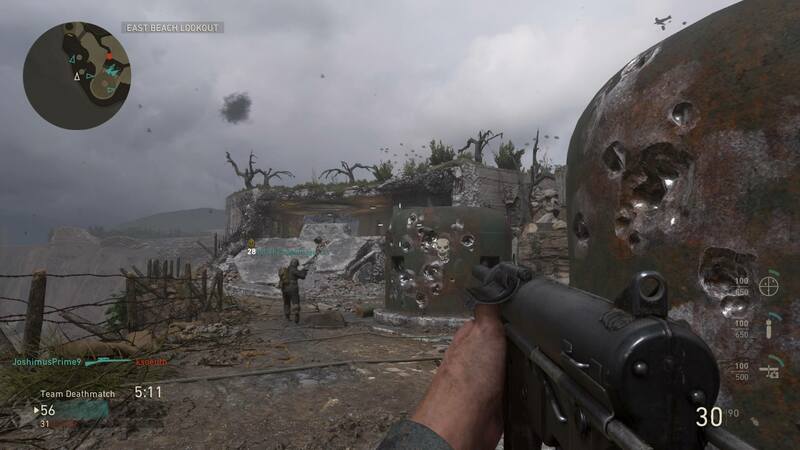 Now, I know I used to rant about being sick of all the shooters being in WWII, but this is truly spectacular hardware we’re using now. I wanted to see how it looked, how it felt. The setting is probably the closest to the actual war as we’re going to get. Watching troops parachute from the sky off in the distance, buildings destroyed by war, by man, it was almost poetic in a way. I played around in most of the modes but focused on TDM (Team Deathmatch) and War (The new mode). I have to say that I love the maps, but I am a bit torn on the guns. As someone who hasn’t fired a lot of guns, I can’t really say one way or another how accurate they are, but the look was right, and for the most part, guns were pretty steady on the damage they dealt. 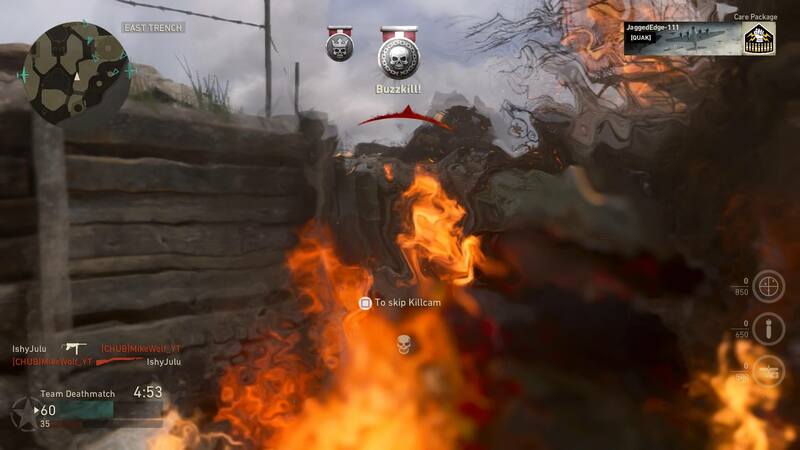 But I did notice that a lot of my killcams were like two or three perfectly placed bullets that murdered me, where I would dump half a clip to get a kill. Though for the most part, the guns I’ve used have been pretty great, I do sincerely think that shotguns (incendiary) and otherwise are pretty damn strong. Anything that can set you on fire is powerful, very powerful. 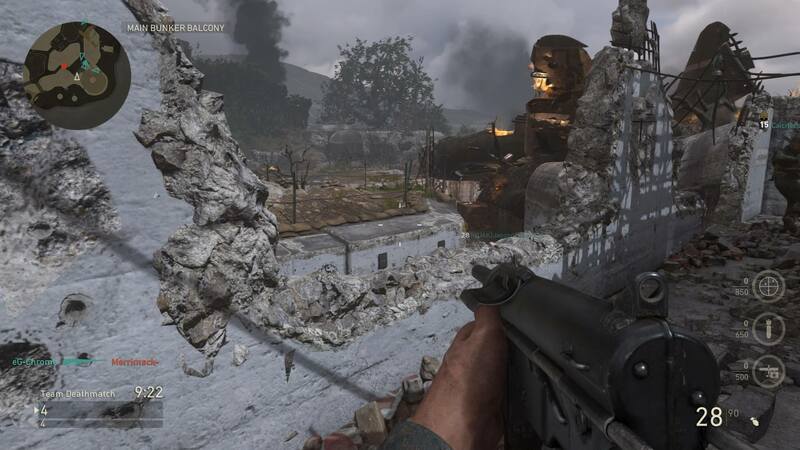 I’ve seen an overwhelming, possibly an alarming amount of snipers on the War map also. 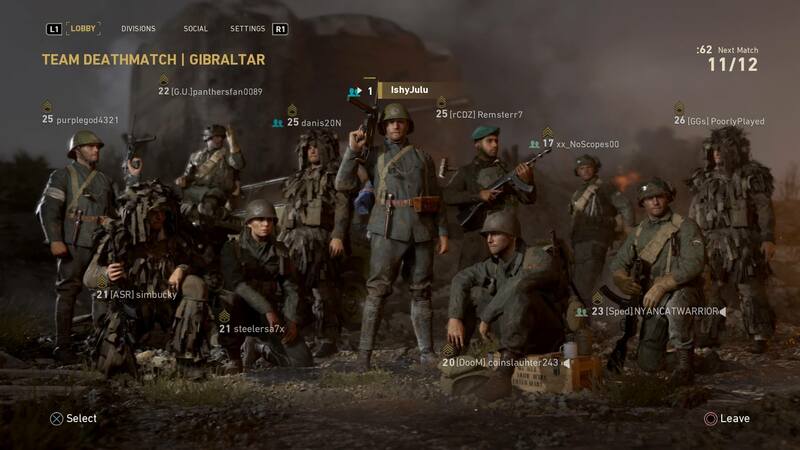 No matter what side, they would have a few people on the map, and the rest were hiding in snipers nests, just picking people off for easy kills and wins. I understand that that’s the nature of the beast, but I was hoping to see in the War mode, more actual combat. Not “Defend the tank that’s trying to cross the bridge” or “Repair this while being shot at by six people”. It looks open, but it’s not. 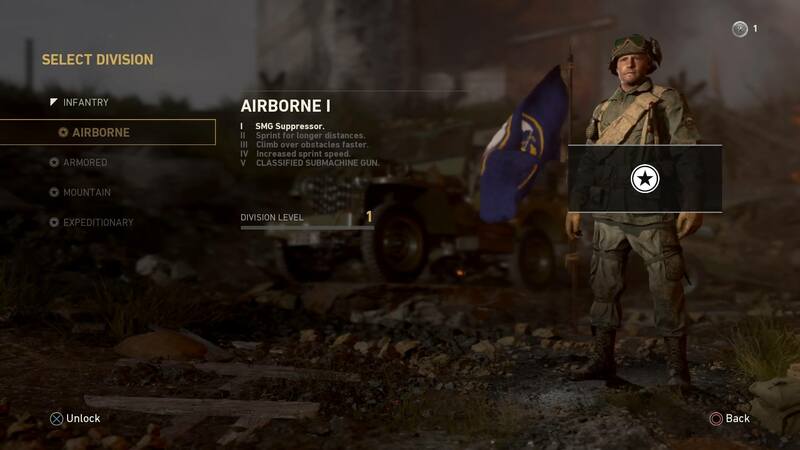 Airborne: SMG Supressor, Sprint Longer, Climb over obstacles faster, increased sprint speed, Classified SMG. Armored: LMG Bipod, Immune to Shell Shock/Tactical Equipment, Take less fire damage, Take less explosion damage, classified LMG. Expeditionary: Shotgun Incidiery Shells, Select a piece of tactical/lethal equipment, throw equipment faster/farther while sprinting, Resupply equipment from killing enemies, Classified Shotgun. Unlock Tokens are back, but it seems like they’re easier to acquire, at least in the beta. I had no trouble unlocking the items that I wanted for my guns. I’m hoping that more comes to the “War” Mode though. More War maps, more than simply “walk the tank into the base/blow up their guns”. The War Mode feels to me like it could be a tactical wonderland, so we’ll have to see where it goes from here. Overall, I’m very happy with this beta. I’m not the best at shooters, but I do think I’m going to enjoy the story of CoD:WWII and to be shooting Nazis in the face. A lot. I think the best feature is being able to skip the Killcam in most modes because while it’s nice to see where they got you from, it puts you back in the action faster. I also think this game would do well with a soundtrack written by Sabaton. That’s what I listen to when I’m shooting, anyway.